What does pet boarding include? Guests that stay for overnight pet boarding at our spot in San Francisco, CA get all of the fun and benefits of daycare plus the excitement of having a sleep over with their friends. 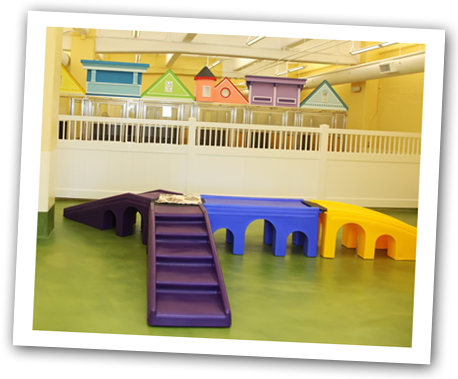 We cover the play area with blankets and beds and help everyone find just the right spot to snuggle up in. If your friend prefers sleeping in one of our enclosed homes, we are also more than happy to accommodate. We want to make the pet boarding experience as comfy for our guests as possible. Where do the pets sleep at night? Our residents get their own private room (6ft x 4ft) for the night. We provide beds and blankets and help everyone find the perfect place to snooze away. Private rooms are ideal for our friends to unwind. What does my dog need to bring to board with Mr. Muggles? All you need to bring with you is food and treats. We have beds, toys and tons of blankets. The least amount of your dog’s own possessions is ideal. Our friends tend not to like to share toys or beds that belong to them personally. If you want your pet to feel more at-home, feel free to bring a worn shirt or towel for them to snuggle up with at night. We cater to small/medium sized dogs, currently accepting new guests 40-45lb and under. This is only because we have one large indoor playroom that they share. Do you offer dog bathing and grooming? Yes! We have K9 Spa on site, and they operate by appointment only. Simply give them a call to schedule your pup’s next bath! Multiple dogs in the same family get 20% off. Dogs picked up before 11am will not have a daycare charge. Dogs picked up between 11am and 3pm will be charged half day of daycare. Dogs picked up after 3pm will be charged a full day of daycare. Don’t hesitate to contact Mr. Muggles’ doggie day care in San Francisco, CA for information about our pet boarding palace! We care about each and every pet that comes through our doors, and we treat them like family. If you have any special requests for your pet during their stay, please let us know. We’re happy to help!